Product prices and availability are accurate as of 2019-04-14 22:10:47 BST and are subject to change. Any price and availability information displayed on http://www.amazon.co.uk/ at the time of purchase will apply to the purchase of this product. 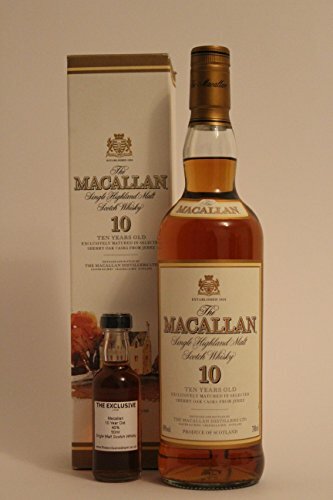 Category - Single Malt from Speyside, Scotland •Distillery - Macallan •District - Speyside •Bottler - Distillery Bottling •Bottling series - Sherry Oak •Age - 10 years old •Cask type - Sherry Casks •Strength - 40.0 % Vol.